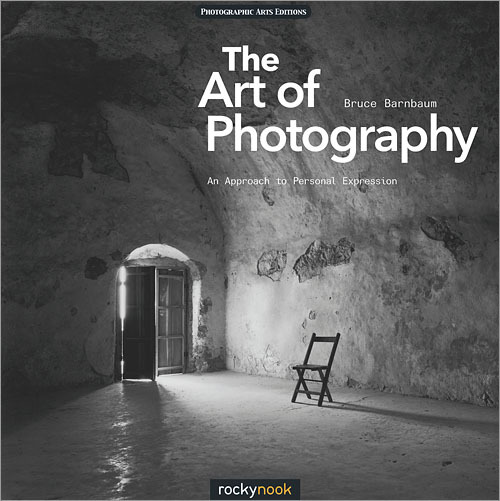 This is a newly revised edition of the classic book The Art of Photography (first published in 1994), which has often been described as the most readable, understandable, and comprehensive textbook on photography. In his accessible style, Barnbaum presents how-to techniques for both traditional and digital approaches. Yet he goes well beyond the technical as he delves deeply into the philosophical, expressive, and creative aspects of photography. This book is geared toward every level of photographer who seeks to make a personal statement through their chosen medium. Bruce Barnbaum is recognized as one of the world’s finest photographers as well as an elite instructor. This newest incarnation of his book, which has evolved over the past 35 years, will prove to be an invaluable photographic reference for years to come. This is truly the resource of choice for the thinking photographer. Filled with over 100 beautiful photographs, as well as numerous charts, graphs, and tables. Chapter 2 What is Composition?